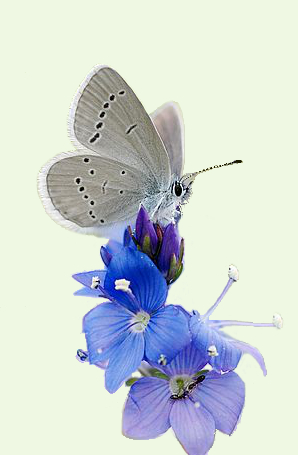 The Small Blue is our smallest butterfly. The silvery-grey underwings are scattered with small black dots with no orange markings, the un-patterned upperwings are smokey-black on the male and dark brown on the female. Resident, scarce to frequent but local.